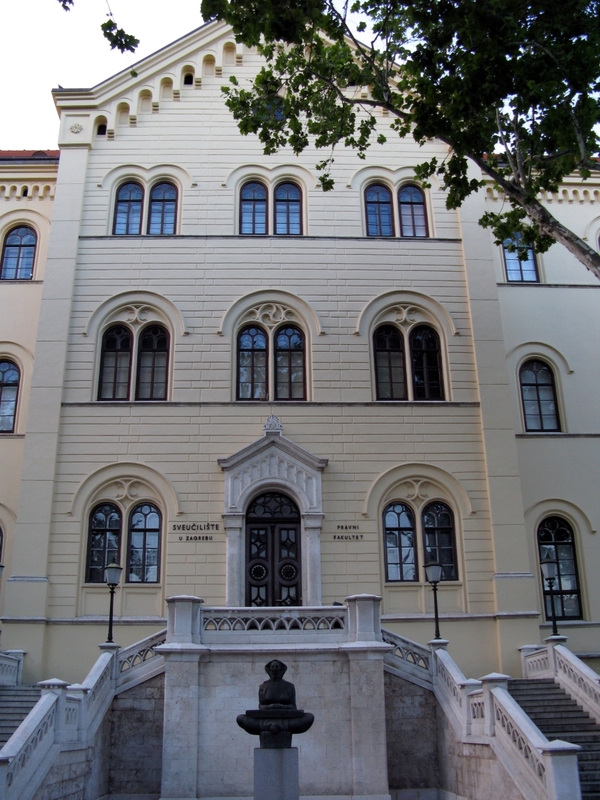 One of the main aims of the Faculty of Law of the University of Zagreb is to foster excellence through international cooperation. We seek to create a stimulating environment for successful learning and research, as well as for personal development. Through agreements with more than 130 institutions of higher education throughout Europe and other continents, we offer a warm welcome to all our student guests from abroad! We would be pleased to meet you in Zagreb! The Faculty of Law offers seven different types of study programme - three in law, three in social work and one in public administration. In the field of law these programmes are: an integrated BA-MA general law programme (300 ECTS), advanced master’s programmes (120 ECTS), and a doctoral programme (180 ECTS). Each of the levels offers the opportunity for specialisation in a particular legal field such as constitutional and administrative law, civil law, criminal law, commercial law, labour law and social security law, tax law, international law and European law. In the field of social work the Faculty offers a bachelor (240 ECTS), master's (60 ECTS) and doctoral (180 ECTS) programmes. The Faculty of Law has strong international relations and cooperates with many institutions and individuals worldwide, especially those in the EU and the region. It presents a welcoming environment for international students.